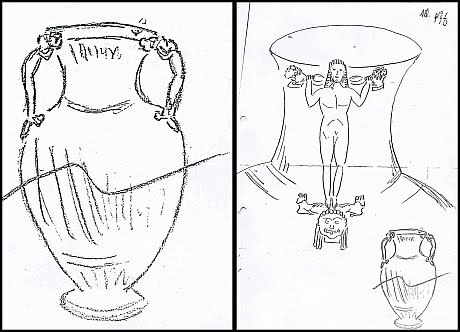 There is an interesting story about an bronze amphora, decorated with handles in the form of a kouros, that appears to have been looted from Casserta in Italy ("Amphore gesucht!"). The piece was said to have been sold to a Munich dealer in February 2004 for 200,000 Euros. It was then sent to Switzerland for restoration. See also here for the Operation Ghelas raids in Munich and Barcelona.